This requires greater staffing and patient ratios. But it would save more lives. Ebola has killed more than 6,000 people in the worst-affected areas of Sierra Leone, Guinea and Liberia. The virus causes severe vomiting, diarrhoea and bleeding – all of which can lead to the profound loss of fluids and electrolytes, such as sodium and potassium. When patients are too sick to drink they can be given fluids intravenously – using a drip through a vein. But Prof Ian Roberts, of the London School of Hygiene and Tropical Medicine, and Prof Anders Perner, at the University of Copenhagen, say these rehydration therapies are being neglected while people focus on potential drugs and vaccines. Prof Roberts told the BBC: “When the outbreak started, people thought there was nothing we could do unless we killed the virus. “But it quickly became apparent when people treated in high-income countries didn’t all die that ordinary good-quality medical care makes a huge difference. The charity Medecins Sans Frontieres says patients are encouraged to drink but only the sickest patients are given drips, as inserting them can leave staff at risk of getting the disease. 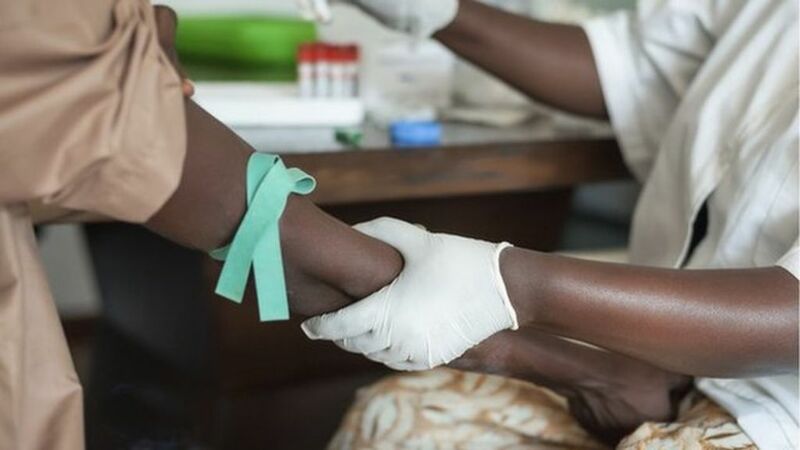 Dr Catherine Hoolihan, of Save the Children, who is currently working at a treatment centre in Sierra Leone, told the BBC: “Some weaker patients absolutely require intravenous fluids in order to support them, but it is a challenging thing to do. “There are concerns about the safety of having needles inside wards but we are starting to see that when there are training and facilities in place this can work. “We also have challenges of confused patients who won’t let you put in drips. Others will pull them out. And you need people to put up the next bag of fluid. Dr Charlie Weller, of the Wellcome Trust, said: “We know intensive fluid therapy can help patients but this requires more staff. “The UK and global agencies are calling for more people to help. But giving fluids alone will not eradicate Ebola. This entry was posted in English and tagged Ebola by kiumars. Bookmark the permalink.